Post A level euphoria is in the air and many professional services firms are hoping to capitalise on this by promoting their company as the place to work. According to a report into A level and equivalent results in Jersey Academic year 2015/2016 a quarter of all A level entries resulted in an A* or A grade and around four-fifths of entries resulted in an A* to C. The annual pass rate (percentage of entries resulting in A* to E grade) in academic year 2015/2016 was higher in Jersey than in England (99.3% and 98.8% respectively). This States report reveals that accounting and finance continues to be the most popular ‘sector subject area’ in 2015/2016 with almost a third (30.2%) of entries are within this sector. The most popular vocational ‘sector subject area’ was accounting and finance followed by sport, leisure and recreation. Finance and accounting firms are among the biggest recruiters of graduates in the UK with over 80,000 graduate applications between PwC, Deloitte, EY and KPMG, the so-called Big Four. Jersey’s financial institutions are experiencing growth and are always looking for the right candidates to fill a number of positions in the sector. We see many local finance companies changing their strategy to actively fill vacancies in the graduate market place; they have been forced to modernise their student selection process to improve diversity, increase social mobility and appeal to a generation of tech-savvy millennials. This is encouraging news for graduates who possibly didn’t make the grade. After all, according to the States Report the average point score per A level entry was equivalent to a C+ grade and reflects a decrease compared to the previous year. As part of placing less emphasis on academic achievement in recruiting, firms are targeting more school leavers and apprentices. We see a willingness to learn and a high level of commitment and motivation as more important than ever when it comes to landing a job in a prestigious firm. Many of our clients are looking for new recruits with a willingness to work in a team, communicate, solve problems and have commercial awareness. Firms are looking for recruits with potential, but who in the past, may have fallen through the cracks of traditional recruitment programmes. Many companies are conducting online and numerical tests to gauge the potential of applicants, they are trying to see through high grades and look at other predictors of whether candidates will make a good accountant for example. Firms want to understand the economic background and personal circumstances surrounding their candidates’ scholastic achievements rather than take results at face value. In Deloitte’s case for example, not all A-level grades are the same. In fact, three B grades at A-level in a school where the average student achieves three D grades is identified as an exceptional performance. They try to ensure job offers are made on the basis of present potential rather than past personal circumstance. 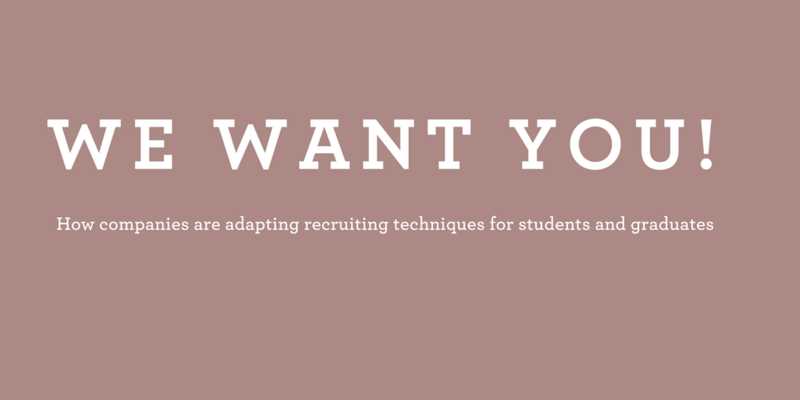 We can help graduates prepare for this brave new world of recruiting by making sure our candidates understand the process. They will want to be familiar with psychometric assessment, numerical and logical reasoning tests and how to conduct a telephone interview. For an informal chat please contact Shelley or Lauren.